I don't speak Danish, but I think it's fair to say that To Ølekalender is a play on To Øl (which I know means two beers) and calendar. Like in previous years I hope to get a post up roughly every five days, so you can follow along my progress. If you're here I'm guessing you've already read Part 1 (link), Part 2 (link) & Part 3 (link), so let's get into the next 5 beers! Day 16 - Frost Bite - Day 16 saw a Pale Ale make it's way out of the box. 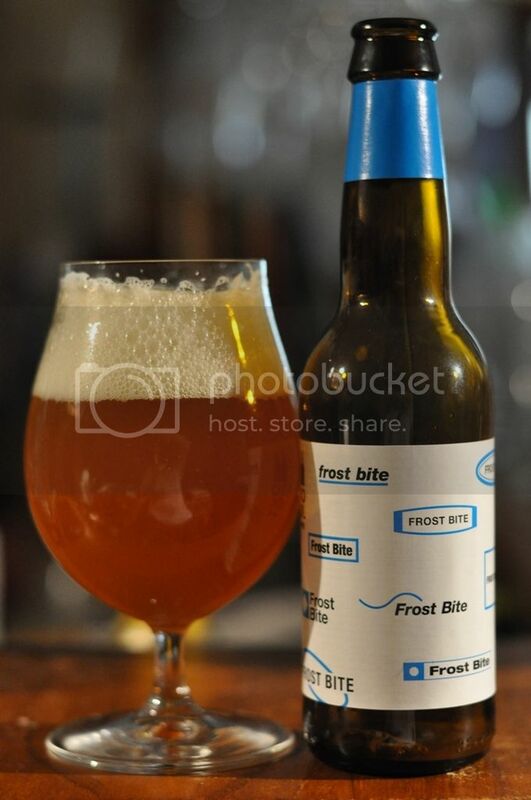 To Øl market this as a "Winter Pale Ale", which I'm struggling to come to terms with - I'm guessing it's something along the lines of a spiced Pale Ale? In any case; just about any beer will do on this warm Melbourne evening! Day 17 - !! !PA Simcoe & Mosaic - My experience on Day 17 should serve as a lesson to all young players; always read the label! I thought I'd best get my To Ølekalender beer out of the way before a big family dinner. 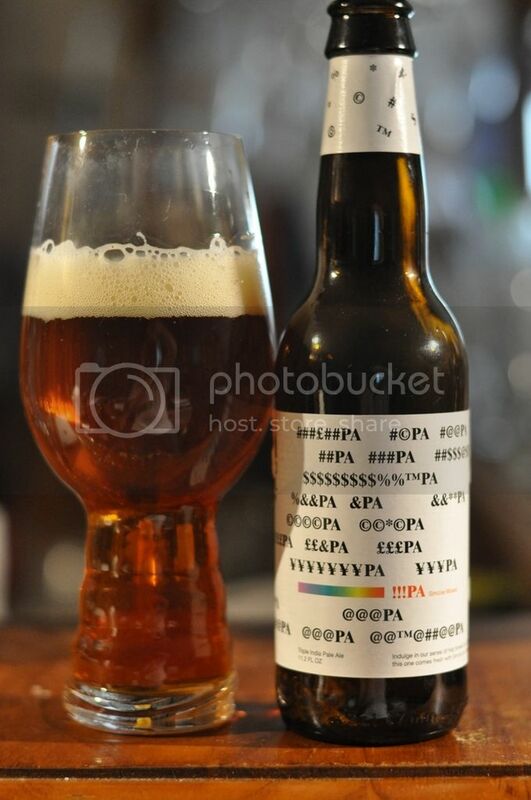 I half read the label, poured the beer in the appropriate vessel, took a photo and then tasted it. It was not the single IPA I thought it was, it was a 13% Triple IPA! After the initial shock of it being a Triple IPA subsided; I was left with a very pleasant beer. As with most Triple IPA's there was plenty of sweet malts accompanying lashes of bitter citrus, particularly orange, coming from the hops. It hides the ABV remarkably well, with only a few hints as it warms up. Day 18 - Don't Gose Towards the Light - To Øl make some beers that are really out of left field; a category that Don't Gose Towards the Light definitely fits into! Apparently it's a Gose that they've thrown some dark malts into to darken, before adding plenty of blackcurrants. I quite like the idea of a salty blackcurrant beer, I'm just unsure how much the dark malts will influence it. I needn't have been concerned as the beer turned out very nicely. All the flavours you would expect were there; with hints of roast combining nicely with quite tart blackcurrants, whilst the saltiness really added to the overall experience. As the beer warmed a little, the sweetness of the fruit became more pronounced. It's not a beer I'd drink everyday, but I'm very pleased having now tried it! 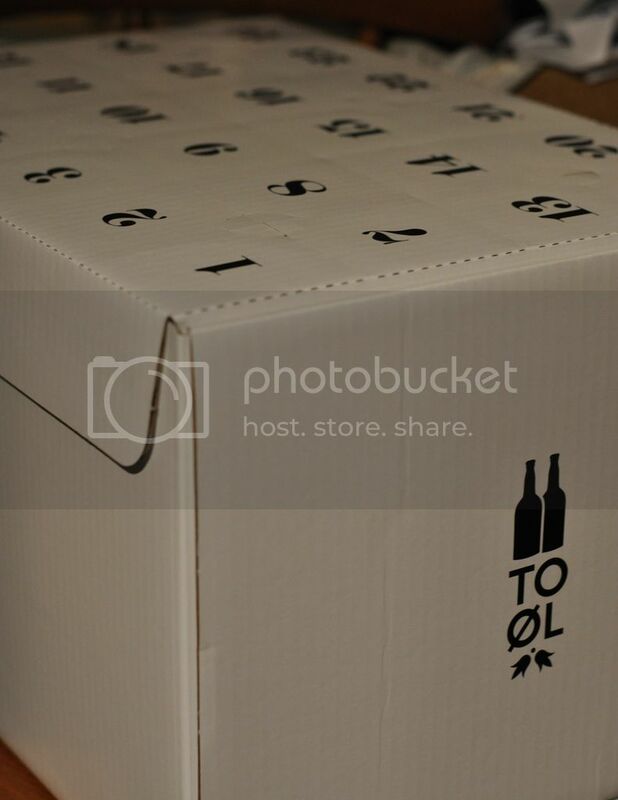 Day 19 - Totem Pale - I hadn't heard of this beer before. 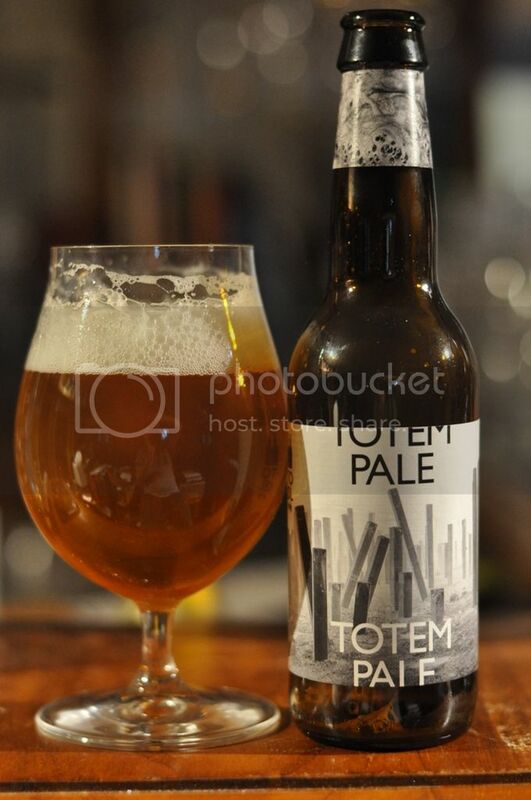 Totem Pale is a 2.2% Gluten Free Pale Ale, the smaller brother of their Reparationsbajer. I had concerns over the body of the beer, imagining that it would be very thin at such a low ABV and also being Gluten Free. Day 20 - Tripel Trouble - I was wondering whether we'd see a traditional Belgian style come out in the To Ølekalender. On Day 20 it appeared in the form of Tripel Trouble. 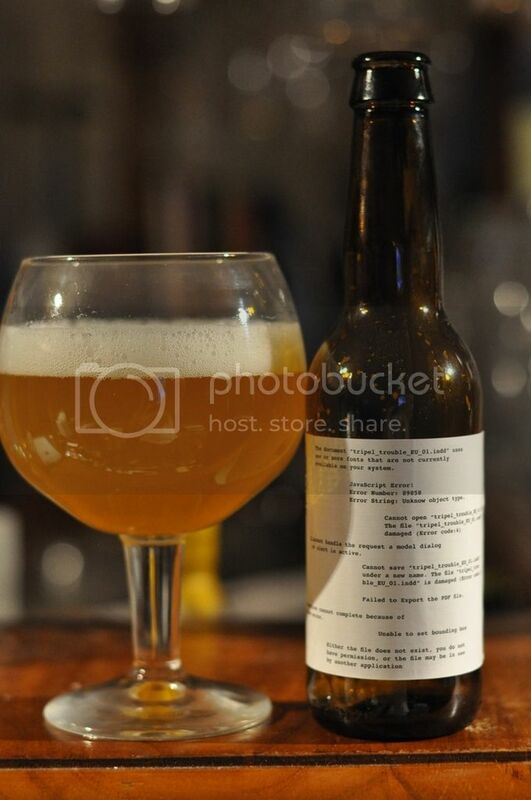 I haven't had this beer before and am a big fan of Tripel's so am interested to see what To Øl do with it. 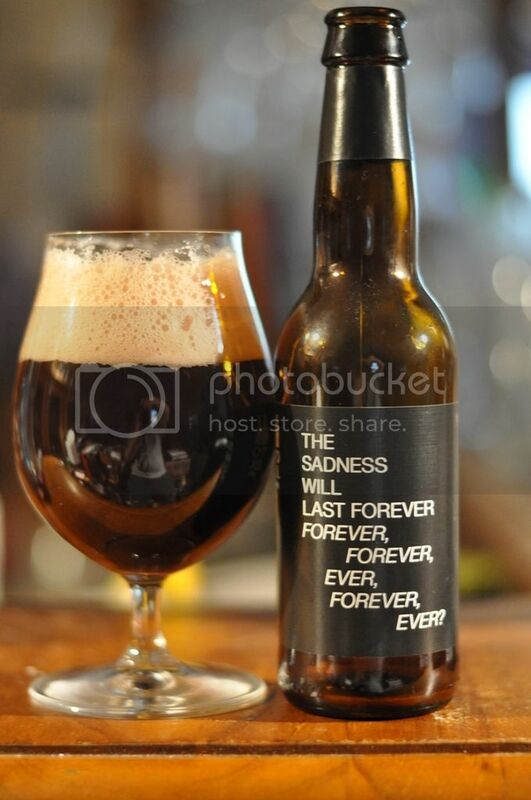 To my mind; this was the worst beer of the To Ølekalender so far. I had high hopes for it and unfortunately it didn't live up to those hopes. The beer tasted like a honey sweetened Pilsner, with sharp Pilsner malt too dominant. Apparently there was some wheat (25% of the grain bill!) in there as well, but I didn't pick any of it up. So there we have it guys, another 5 To Øl ticked off in the To Ølekalender and another 5 that I haven't tried before. The pick of the bunch was the Frost Bite, a lovely American Pale Ale that was improved by lacking in the promised festive spices. Sorry this post is a few days late - December got quite hectic! With any luck I'll get the last installment up tonight, otherwise it might be delayed a few more days... If this is the last post, Merry Christmas guys!